The Law Offices of Gregory Krasovsky provide legal support and representation to plaintiffs filing whistleblower and Qui Tam lawsuits. Although whisteblowers are a crucial check on malfeasance, many obstaceles stand in their way. It is for this reason that it is crucial to hire a competent Qui Tam lawyer. Contact a Qui Tam attorney today to learn about the best track to take to tackle fraud against the government. If an individual exposes fraud against the government or consumers as a whole by engaging in a lawsuit, that individual might be entitled to a hefty compensation (some past awards hovered around $50 million dollars).This whistleblower is referred to as a "realtor." For example, if a pharmaceutical company is pushing doctors to prescribe drugs for off-label uses, a whistleblower from within that pharmaceutical company can file a lawsuit and be joined in the lawsuit by the government. The Law Offices of Gregory Krasovsky can assist the whistleblower in undertaking a lawsuit against the pharmaceutical company in exchange for a fraction of the future reward from the government. Qui Tam has been entrenched in United States law since the Civil War. Realtors who file suit against defrauders can be either joined by the government or not in the suit. In either case, the realtor is promised a certain percentage of the winnings (generally 15%-25% in cases in which the government joins). Additionally, the realtor's attorney fees will be paid for once the damages are assinged. As responsible citizens, we always encourage behavior that will help uncover fraud and hold miscreants liable for their deception and chicanery. 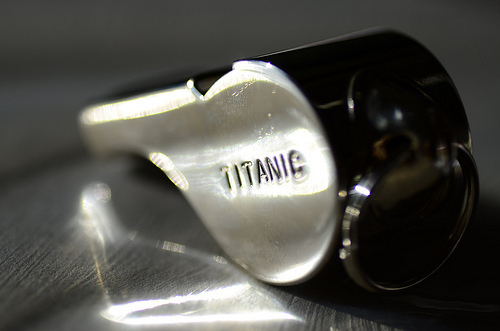 We consider it an important civic duty to help facilitate whistleblower claims. The attorneys at the Law Offices of Gregory Krasovsky are very interested in pursuing Whistleblower/ Qui Tam claims. We believe that any attempt to defraud the government of its rightful revenue is prejudicial to society as a whole. We bring our years of experience from a variety of field to bear for the purposes of best supporting your Qui Tam claim. Contact our attorneys today to schedule a free consultation.